The company Bet soft Gaming definitely has great creativity when it comes to choosing the themes for their slots and even more when it comes to setting the screen with sensational images. Your Treasure Room slot has a screen that reflects what its name suggests, it is a real room filled with nothing but bright and valuable gold. In its characteristics you can count five spinning reels and thirty possible payment lines; Apart from this, there is room for truly unique and enigmatic bonus rounds. Among them, we can mention the bonus round “Treasure Room” and the bonus “Shield and Sword”. The Treasure Room slot along with these bonuses, its graphics,and the setting makes it a game that after so many searches for true riches is completely rewarding. With a lot of luck, Treasure Room will soon be compatible with the To Go platform that Bet soft owns. While the company arrives there, this slot game is available to all players who own devices with software such as Linux, Max, without forgetting Windows. You can play this Treasure Room betting machine on the internet without any problem and without any downloads. There Is No Denying How Interesting And Incredible A Room Full Of Gold Could Be! The Treasure Room slot tells the story of a room full of treasures and riches that the Romans once decided to hidespace where no one else could access and they would take care of their lives. The player joins the adventure, looking for this Roman hiding place and wanting to take the gold. How Do You Get To The Treasure Room? The player can obtain a map and in this way reach the hidden treasures, wherein the room you can find from full treasure chests, pure gold coins, rings, precious stones, diamonds, and different helmets worn by warriors, different items,and even sand watches. The Treasure Room screen has a 3D feature, a screen with some amazing clarity that allows the player to appreciate all that brightness and high value that possess the treasures that are there. If the player trusts his luck, he will be able to activate in the game many functions and bonuses that allow him to access the treasures, this in addition to different secrets that are key to obtain even more prizes and other possible payments. 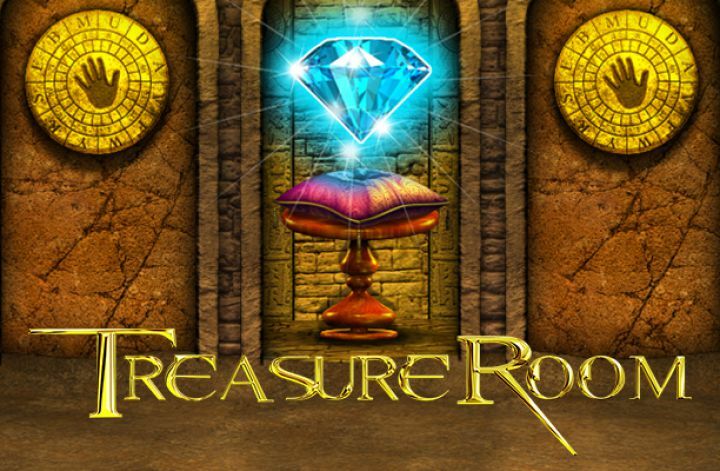 Betsoft Gaming took a lot of attention when they were given the task of thinking, creating and manufacturing this slot game; Treasure Room ended up being a sample that the details cannot be overlooked and the design is an extremely important step to capture the attention of a possible player who just walks by in front of the betting machine ina casino full of other slot games that could be visually more prominent than others. That’s why they were not left behind with the Treasure Room, and they returned it not only with a highlight slot with an attractive screen that has an excellent graphics design, but also the quality of the game goes above expectations, breaking expectations and counting with multiple awards and bonuses that players would love to get. It was expected that the Treasure Room had extra features like all of its slot machines from Betsoft, as they make it a unique and outstanding game, as well as fun. In this game you have graphics like a compass, which is the graphic in this betting machine, it has the power to replace the other graphics, as support to the players if they need to get rid of other graphics that do not serve to make possible a combination that leads directly to gold. It also has the second screen bonus, known as Click Me and the progressive feature jackpot. If the player achieves the combination of a minimum of five and a maximum of all those that are possible, the graph of the chest full of riches in the same active line of payment, the game may reward the player greatly. But this is only possible if you play the full thirty lines and with the maximum possible bet. The possible combination of minimum three shield and sword charts in the same active payment line activates the feature that can pay a minimum of 125 coins, with a maximum of 5000 coins. After having obtained the necessary graphics, the player will be able to see that he is presented with the choice between a listen and a sword, depending on his choice, his prize or gain may be one thing or another. The prizes obtained can be multiplied with the bet made by each line of payment, and this is why we are reminded again how beneficial it is to bet the maximum amount allowed for each line of payment that you wish to activate in the Treasure Room; In addition, the powerful jackpot with progressive features is activated only if the game is at the maximum in terms of line bets. Think about it, there would be five coins per line that you want to activate for the game. If the player seeks to obtain the second screen bonus mentioned above. You have to know that at least three graphs of the old sundial on your spinning reels must fall, no matter what line of payment it is, as long as it is active. Once you are sure you have obtained this, the second screen will activate, the game will take the player up to three doors, which have a unique stone each. The player must then choose, and thus get his win. The prizes revealed in this way are certainly random but do not forget that a single among the three doors will have a considerably better prize than the others, therefore, to have good eyes to choose. To bet in Treasure Room there is a certain range that is between 0.02 coins and 0.50 coins. They are not values ​​that go very high, because they do not reach a full dollar currency, but do not forget that this value is multiplied by each payment line that you decide to activate. And somehow the game encourages the player to select the maximum bet, as well, so it could be read previously, you access features and extra features that are nothing short of incredible. Remember that if you get five of the treasure graphs in the activated payment line, you can unblock the progressive well with the maximum amount per payment line. On the game screen, you can easily visualize the board at the bottom. There, the player can configure the currencies, the payment lines that he wants to activate, the bet for each of these and all the details that he wants to adjust to make the game experience more enjoyable, returning it the complete owner with all the control of the game. Betsoft Gaming has games that allow the player to have fun without stress, also enjoy a good definition of graphics for visual entertainment while advancing towards profits. In addition, it is a completely easy and simple slot without major complications that cause any irritation. Its interface and connection with the player are immediate, its effects, animations will keep you waiting for the best, because it is what you are about to achieve through a simple game to play, where you will not lose sight of the obtained winnings and configure everything to your own taste. The experience of playing this fantastic online slots game is amazing. Without forgetting the main reason why he decided to focus on this betting machine: the payments, the profits, the prizes, and the treasure. The player can obtain a map and in this way reach the hidden treasures, wherein the room you can find from full treasure chests, pure gold coins, rings, precious stones, diamonds, and different helmets worn by warriors, different items,and even sand watches.The Treasure Room screen has a 3D feature, a screen with some amazing clarity that allows the player to appreciate all that brightness and high value that possess the treasures that are there. If the player trusts his luck, he will be able to activate in the game many functions and bonuses that allow him to access the treasures, this in addition to different secrets that are key to obtain even more prizes and other possible payments.